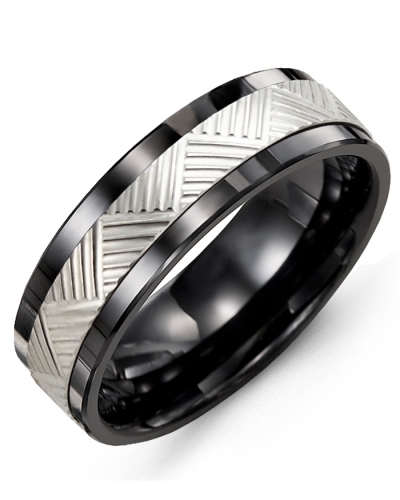 MBI - Carved Pattern Wedding Band A ring that stands out in our collection, this stylish 7mm Carved Pattern Wedding Band would make a stunning engagement or wedding ring. 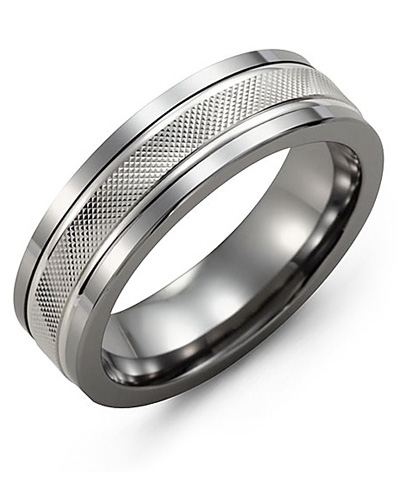 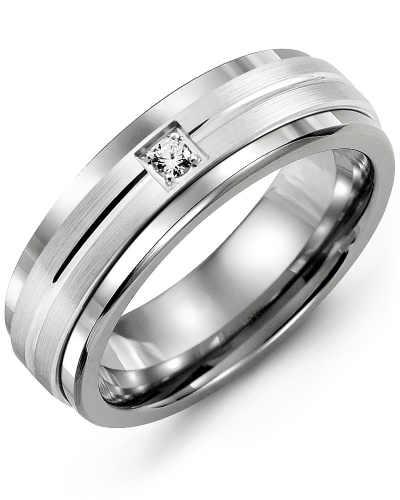 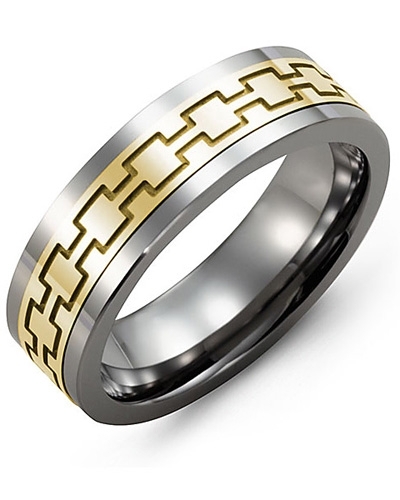 Beautifully made in polished cobalt ring, tungsten ring, or ceramic ring, and finished with a carved two-tone centerpiece in rose, white or yellow gold, this modern ring for men is available in 10kt, 14kt and 18kt options, and 9mm and 11mm widths. 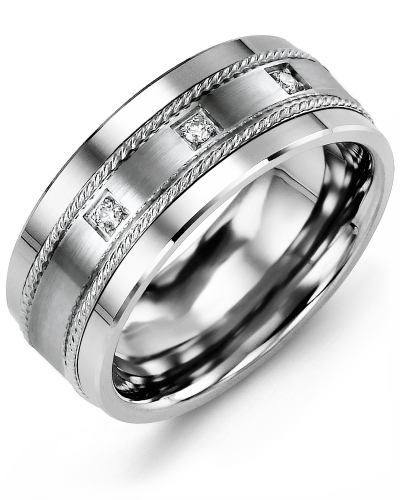 Engrave the inside with your initials and the date of your wedding. A ring that stands out in our collection, this stylish 7mm Carved Pattern Wedding Band would make a stunning engagement or wedding ring. Beautifully made in polished cobalt ring, tungsten ring, or ceramic ring, and finished with a carved two-tone centerpiece in rose, white or yellow gold, this modern ring for men is available in 10kt, 14kt and 18kt options, and 9mm and 11mm widths. 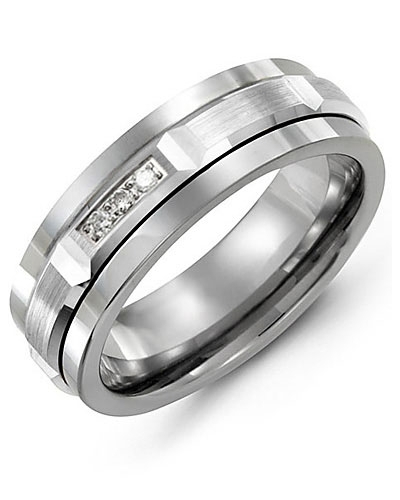 Engrave the inside with your initials and the date of your wedding.